Worldwide, women constitute a decided minority in the physics community. 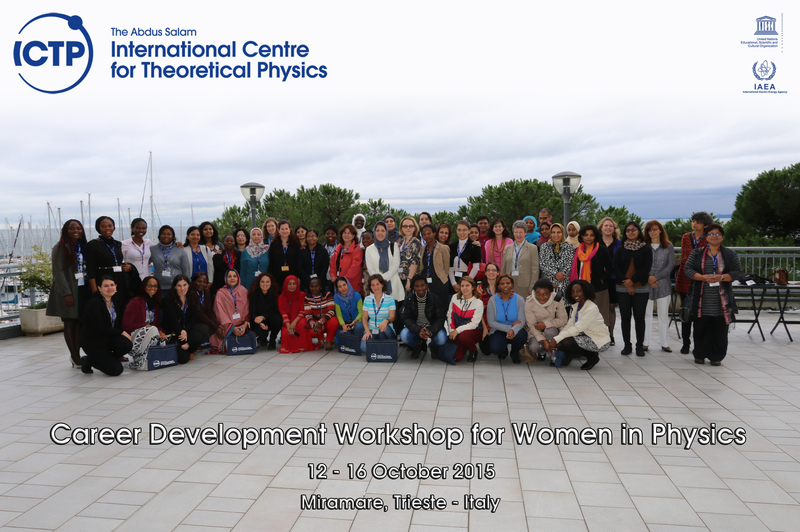 One of the goals of this Workshop is to bring together women physicists from all over the world (with a special focus on developing countries), so that they can share their thoughts and learn from each other's experiences. Another goal is to offer “mini-workshops” that deal with the various “non-academic” skills that are needed to succeed in a career in science, that male physicists often acquire through the old boys' network, but that women, being more isolated and thus lacking mentors, may find harder to pick up. In addition to hearing from successful female scientists who will share their thoughts and experiences, there will be sessions on topics such as how to write a CV, how to give oral presentations, how to write scientific articles for publication in peer-reviewed journals, the art of negotiation in an academic environment, and how to try to achieve a balance between the demands of career and family. There will also be a scientific poster session, and several opportunities for informal discussion. The Workshop is primarily aimed at women early in their scientific career (e.g. postdocs and junior faculty members), but we will consider applications from all women in physics. This is the second offering of such a career development Workshop at ICTP; the first was held in September 2013.